National Express has a seasonal daily coach service London to Llangollen with connections to other routes, e.g. via Shrewsbury or Birmingham. 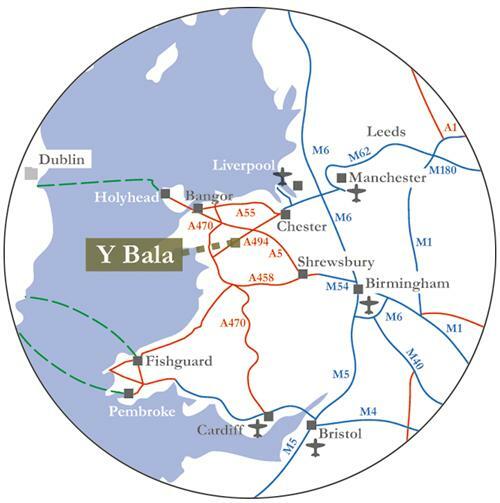 There is a regular local bus service from Llangollen to Bala (see above). Travelling times by road are from the AA route planner, and are subject to traffic conditions, etc.